A fanny pack is a small to mid-size pouch worn around the waist or hips and used to keep essential items like phone, money, pen, glasses etc. The fanny pack or waist bag was very popular in the 1990s but soon lost favor with the young generation who found it old fashioned. As with all fashion trends, the fanny pack is also making a comeback with top fashion brands introducing newer versions of the good old waist pouch. Furthermore, the fanny pack is steadily gaining popularity among hunters as well and is called the “Hunting Fanny Pack”. The Hunting Fanny packs are a little bigger than the usual Fanny packs with a lot of compartments and are made out of more resilient materials like leather or canvas instead of cloth and rexine. Why are Hunting Fanny Packs Important? The Hunting Fanny Packs have gained immense popularity with the Hunters in recent years and are no longer a laughing point. Earlier, hunters used to prefer carrying a backpack while going on hunting expeditions. But the backpack’s big size and weight create problems while hunting in tree stands or narrow places. This is where the fanny pack earns brownie points for being compact yet big enough to hold all the essential items including water. Due to its size, it doesn’t tend to be too bulky and carrying it around the waist, usually with shoulder supports, help distribute the weight accordingly. There are various types of Hunting Fanny packs available in the market and one can choose the best one based on their requirements and budget. The Hunting Fanny packs are made of light yet durable fabric which is water resistant and comes with a vast array of pockets. Price wise, the Hunting Fanny packs are cheaper than the backpacks available in the market. 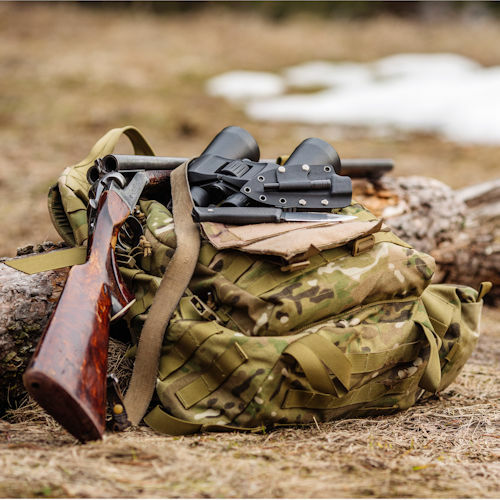 Thus, based on the above factors, a Hunting Fanny Pack is a must-have item in Hunter’s kit and can easily replace the erstwhile Hunting Backpack. Water: Water is right on top of the list when it comes to essential items on a hunting trip. Invest in a fanny bag which has enough space or separate compartment to carry a water bottle. 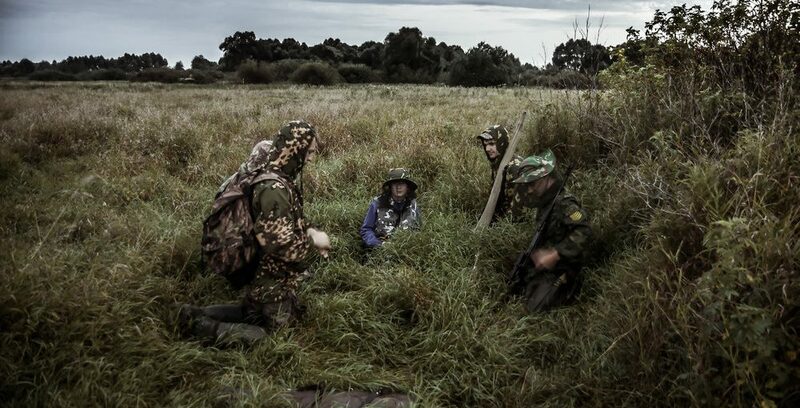 First-aid kit: It is important to carry a basic first-aid kit while out hunting. You wouldn’t want a normal scratch to festoon into an infection just because it wasn’t treated on time with some antiseptic. It is normal to get scratched, blistered while hunting, and having a first-aid kit handy makes it easier to tend to them. Compass and flashlight: People who go out hunting often would appreciate the importance of a compass. In the forest when your mobile signal dies and all the trees look alike, having a compass handy helps in finding your way forward. Time flies fast when you are chasing a hunt and having a flashlight around ensures you are able to continue the hunt well into the night if required. Also, a flashlight helps you see in and around your path preventing any accidents. Dry Food Items: It is essential that you carry some dry food items like Granola Bars, Fruits, Chocolate etc., in your pack. Make sure the food item is easy to eat on the move and is high in protein content. You need to be sharp and focused while hunting and you wouldn’t want hunger pangs to divert your attention. Knife: A Swiss Army Knife or a general hunter’s knife is another essential item which should be in the fanny pack. Make sure the knife’s blades are sharp and not rusted. There is a multitude of Hunting Fanny packs available in the market but make sure you do your research before you buy one. Things to look out in a good Hunting Fanny pack are Durability, Functionality, Price, and Ease of use. To make things easier for you, we list here the 4 best Hunting Fanny packs. Make your choice! This 1.6-pound fanny pack has an 8-liter capacity and comes with detachable shoulder straps and adjustable waistband. It is ideal when you need to travel light. The pack comes with a lot of pockets to store all your hunting essentials. 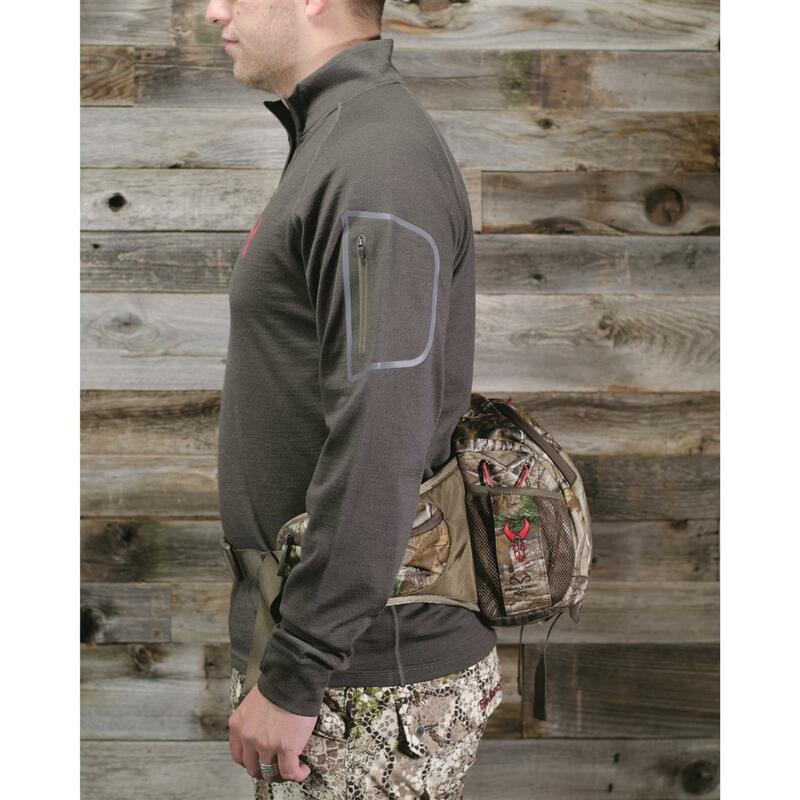 This Hunting Fanny Pack weighs around 2-pounds and has an ergonomic design which prevents sagging. It comes with 6 pockets to accommodate all your essential gear and also has adjustable shoulder straps. The waistband is “one-fits-all” size. This fanny pack is water resistant and makes the least amount of noise when handled making it idle for carrying during hunting. This is one versatile and heavy-duty Hunting Fanny pack which is capable of carrying heavy loads like weapons, gear etc. The pack has multiple pockets and comes with industrial zippers with a capacity of 44 liters. It also comes with expandable pockets and a mesh bottle holder. The pack has cushioned shoulder straps for complete comfort and is easy to maneuver in rough terrain. This Allen Excursion Fanny Pack does not come with any shoulder straps but that’s not stopping it from being a multipurpose value for money pack. The pack has a big main compartment that can store a blanket! The exterior of the pack has loops to carry things and also has water resistant outer pockets. There are two bottle holders on each side of the pack and it is made out of quiet fabric. These are our pick for the best Hunting Fanny Packs. The best part about these packs is that they are not specific to hunting and can also be used while camping, hiking etc. So, next time you head out hunting, make sure you carry one of the above-mentioned packs. And don’t forget to keep all the essential items!